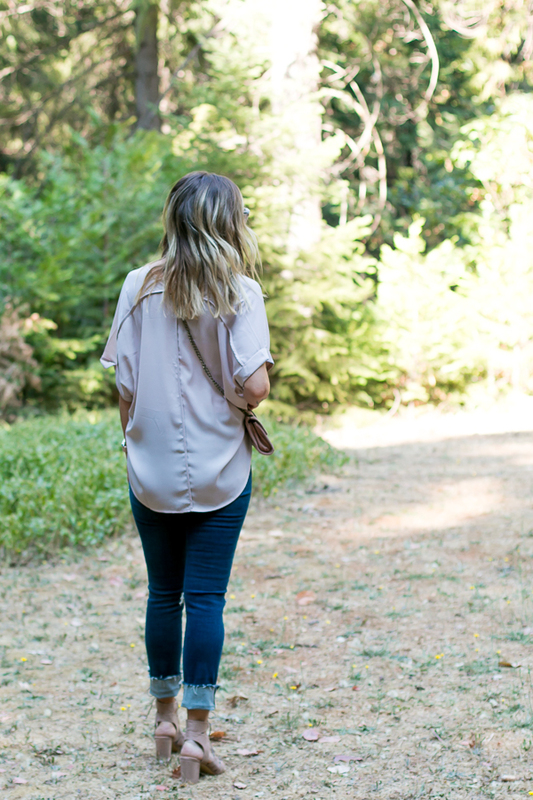 I talked about re-vamping and building your wardrobe here. Well, this top is one of those pieces that will last you a long time and be a great addition to your closet. It comes in 6 colors and is currently 35% off making it under $22 right now!! It is slightly longer in the back and I love this seam detail that goes down the spine. I am wearing a large as I like my tops with a looser fit. This is a great piece as I love to wear a white fitted long sleeve under it come fall or add a moto jacket for date night. 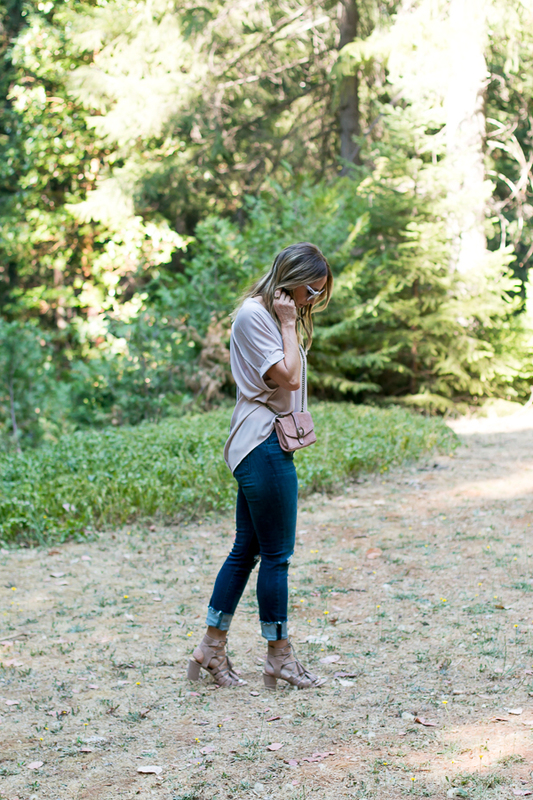 Totally versatile and a great piece to transition into fall with. I also have several of the long-sleeve versions as well. I am a total sucker for soft denim and these jeans make you want to pet your legs, they're so soft! I love the 2 simple knee holes and the bottom seams are already frayed... Woohoo!! Lastly, my lace-up tassel heels. I absolutely love the look of these, the color and the heel. They are a dream to walk in for long periods of time. I am not going to lie, getting them on takes a minute. But once you do, you will enjoy them. The tee looks both cute and comfy :) Lovely outfit!